boasts a complex cannabinoid profile. It’s Pure hemp wax that contains all 60+ Cannabinoids and 400+ Phytonutrients. 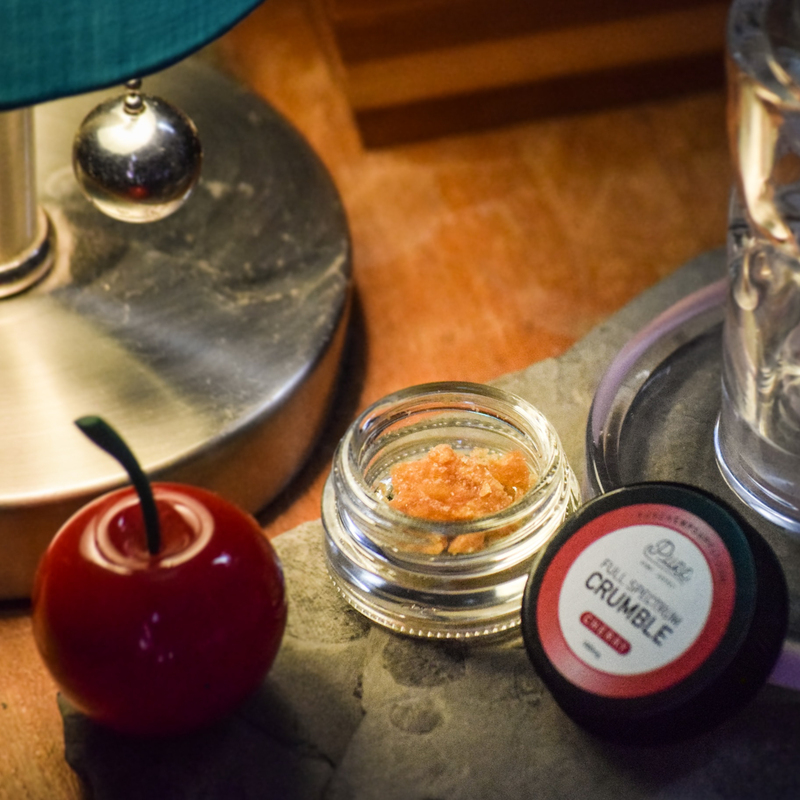 You’ll love dabbing this hemp wax. They didn’t have product this pure back in the day or even a few years ago. Our premium state of the art production process allows us to make this hemp wax THC free. That means these dabs are 100% legal in all 50 States and won’t cause come up positive on a drug screen or impair your cognitive abilities. But just because it doesn't have THC does not mean you won’t feel the power of it's natural ingredients working it’s magic. 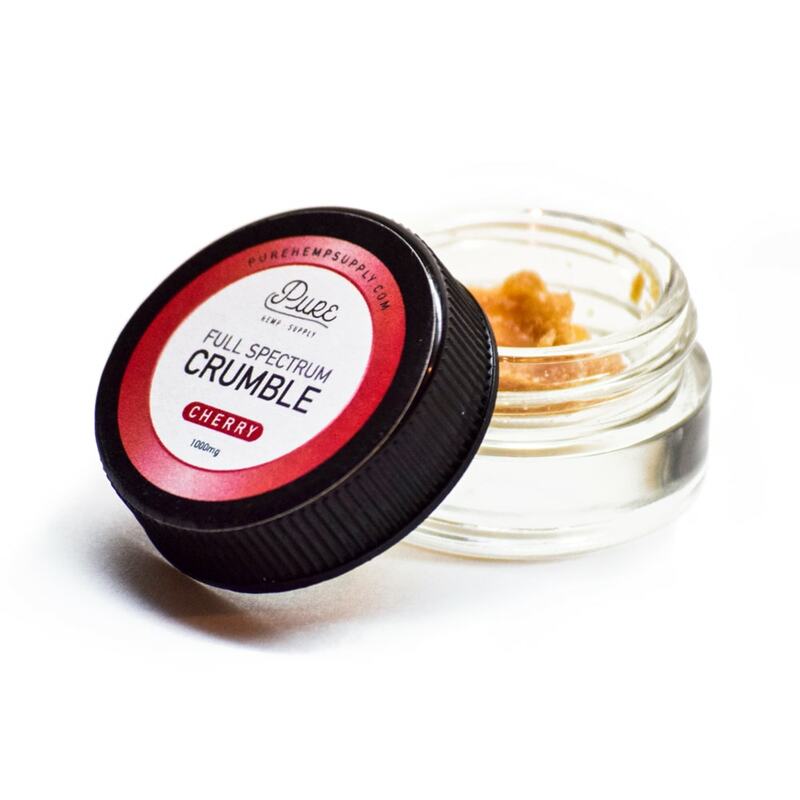 This crumble will have your body relaxation and your mind stimulated. When dab'd it creates a quick lift behind the eyes and mellow of frontal lobe. You’ll feel a great body high that stems from the core and works from the inside out. 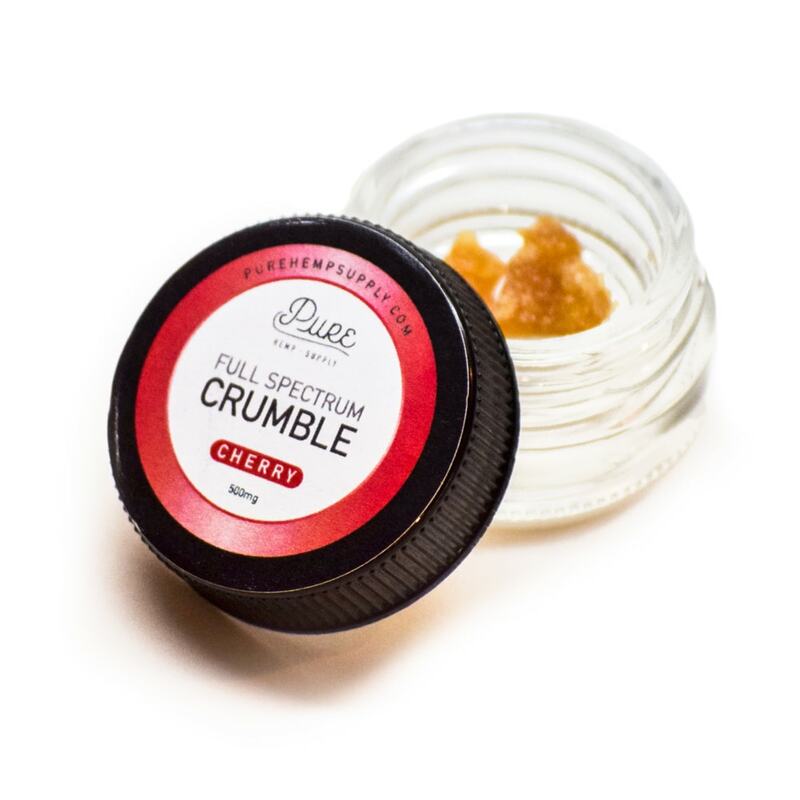 Pure terpene infused 99+% crystal isolate derived from hemp. Comes in both 500mg and 1000mg sizes. This size is great if you’re just trying our wax. 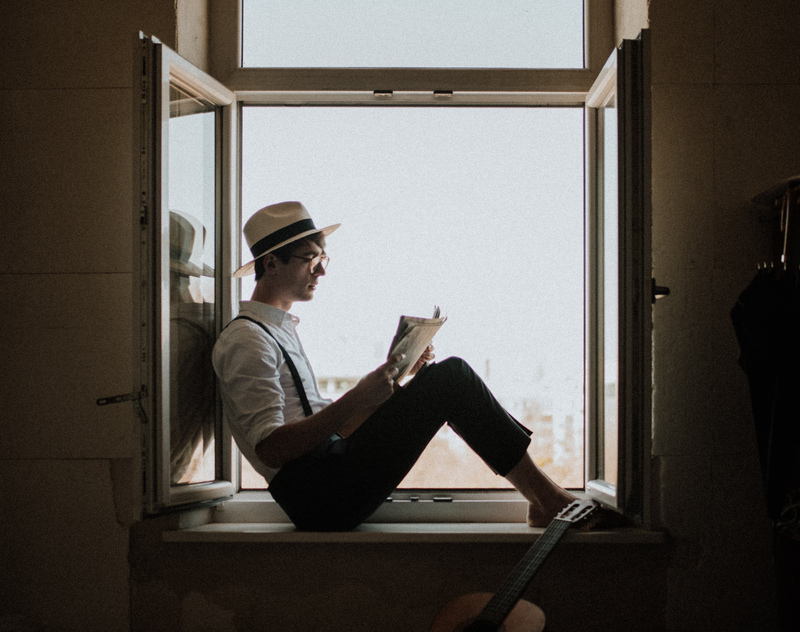 Give it a try and we’re sure you’ll be back for the upgrade soon. Get this size if you’re familiar with wax if you’re familiar with wax and are looking to get a supply that will last an average dab consumption. "The subtle cherry flavor is gives your a hint of sweet cherry but won’t leave your mouth feeling like you just sucked on a lollipop."